Thanks to Dr. Mingyi Chen, University of California - Davis Medical Center, for contributing this case and discussion. To contribute a Case of the Week, follow the guidelines on our Case of the Week page. 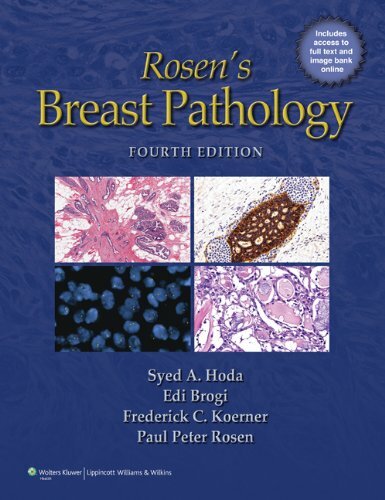 (1) We have now posted 4 Cytopathology competency assessments written by Zubair W. Baloch, M.D., Ricardo R. Lastra, M.D. and Michelle R. Pramick, M.D. They appear in our Cytopathology chapter, as well as Cervix-Cytology, Molecular, Salivary glands and Thyroid gland chapters. The text is complete, but we will be adding more images and references, as available. Ads were posted from 38 of 50 states, Washington, D.C. and 7 Canadian provinces. 86% of the positions required fellowship training or strong subspecialty experience. The most common subspecialties listed were Cytopathology, Surgical Pathology fellowship of some type (unspecified) and Hematopathology. 43% of ads also listed one or more subspecialties in which fellowships / experience / interest would be "an asset" or otherwise helpful. The most common was research for academic positions, followed by molecular, breast, cytopathology, hematopathology, and a surgical pathology fellowship of some kind. (3) Our Feature Page for February 2014 is Microscopes / Microscopy Products. 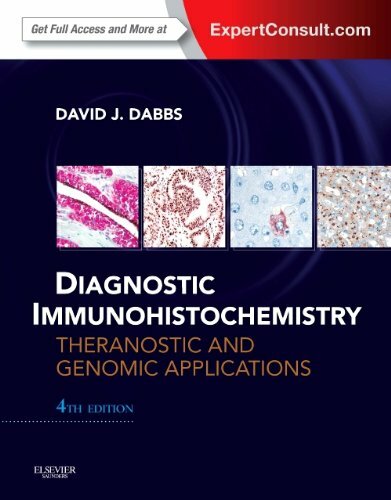 It includes a short article, "Virtual Microscopy: At the Cutting Edge of Pathology", by Jaleh Mansouri, M.D. It also includes information about our advertisers, Leica Microsystems and Optronics. All feature pages have links to prior feature pages, which cover most products and services of interest to Pathologists. (4) We have posted information on two new Stains / biomarkers: ARID1A is part of a chromatin-remodeling complex which is inactivated in many malignancies, and may be a poor prognostic marker. ATRX is a chromatin remodelling protein lost in high grade astrocytomas and pancreatic endocrine tumors. Dr. Gina Johnson updated Androgen Receptor, as part of our A-Z update of stains. (5) See our Blog for more News items. 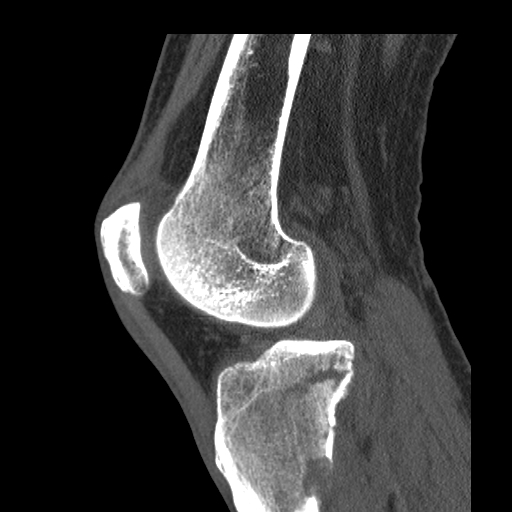 A 49 year old woman presented with extensive lymphadenpathy in the neck and inguinal regions, multiple tender skin papules on her arms, legs, neck, and face, and a left tibial pathological fracture. 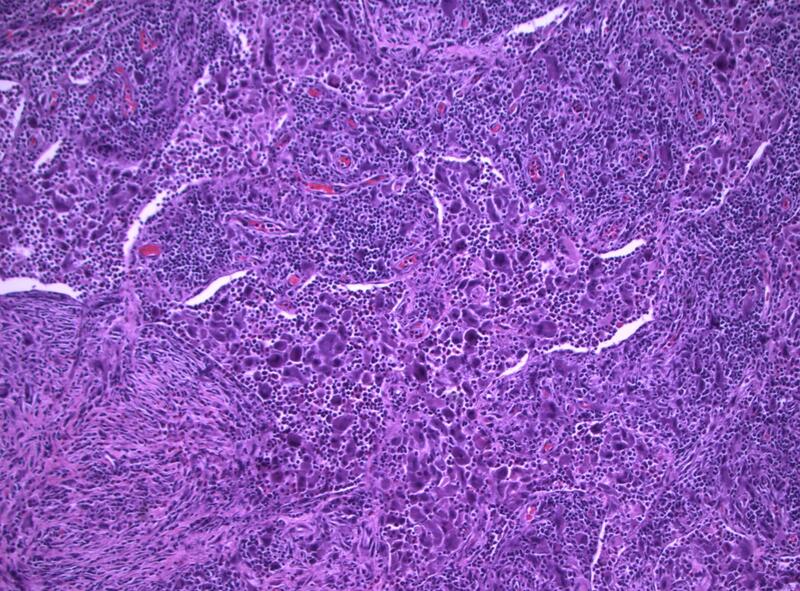 The neck lymph node and skin papule were biopsied. 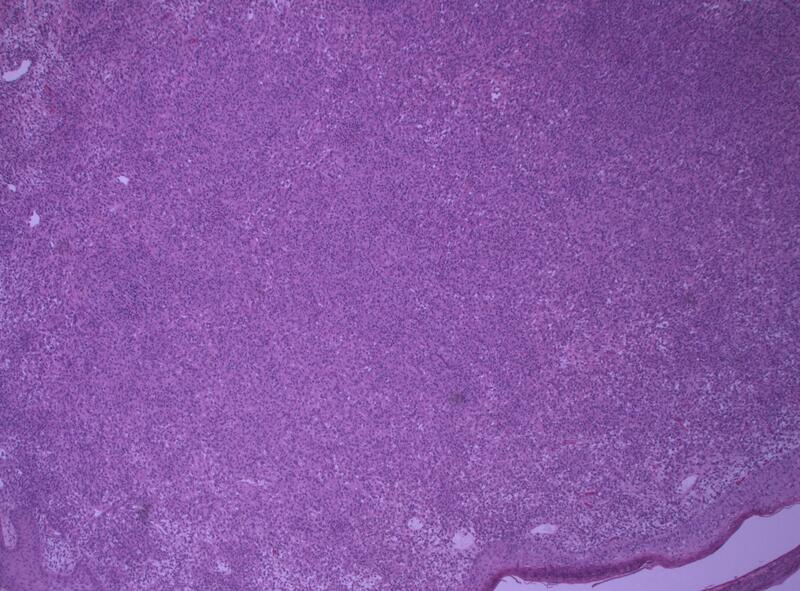 An immunostain for histiocytic marker CD163 from the lymph node biopsy is positive. Histopathological examination is crucial for accurate diagnosis, especially to differentiate Erdheim-Chester Disease (ECD) from other histiocytoses. Most infiltrating cells in ECD are xanthomatous or xanthogranulomatous foamy histiocytes, frequently associated with variable amounts of fibrosis and other inflammatory cells such as lymphocytes, plasma cells, and Touton-type giant cells. 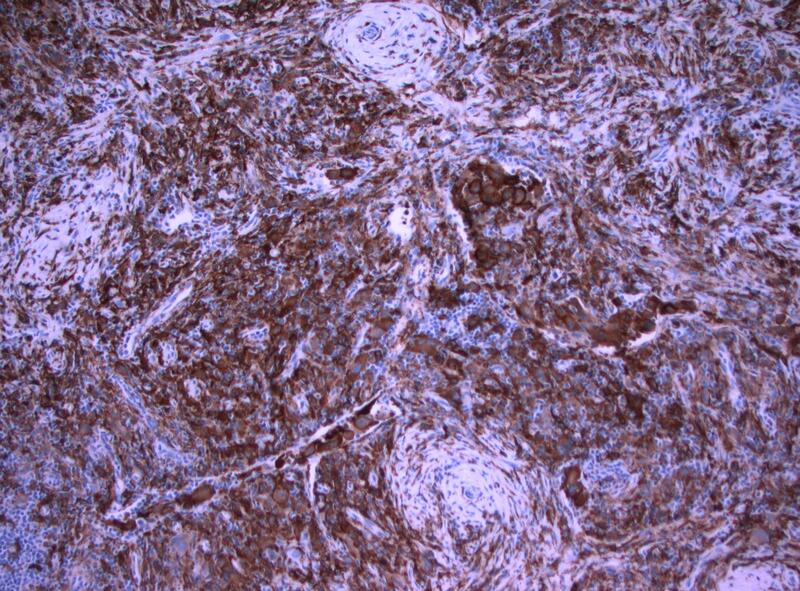 Immunohistochemically, the tumor cells are diffusely positive for histiocytic markers CD163 and CD68, and are negative for S100, CD21, CD23 and CD1a, indicating that these cells derive from histiocytes / macrophages, not dendritic cells. Special stains AFB, GMS and PAS for microorganisms were all negative. 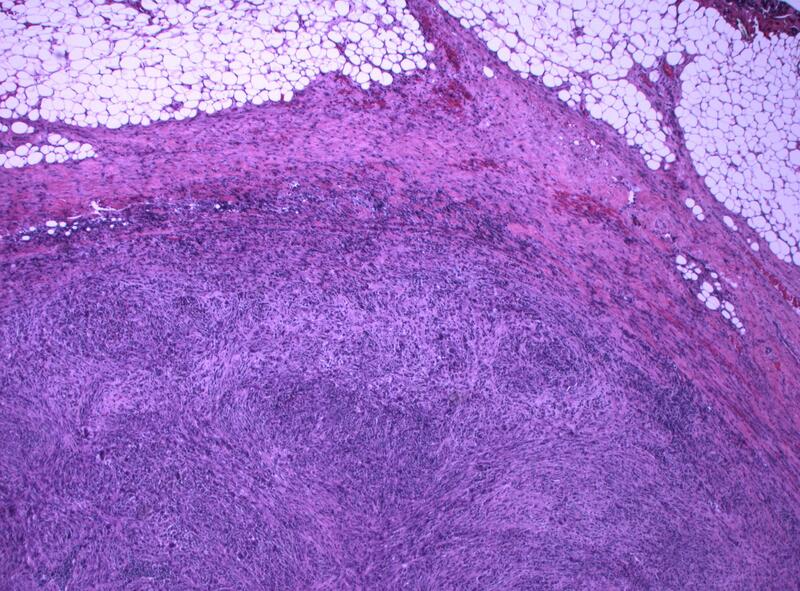 Histopathological examination of the skin lesions revealed dermal infiltration of foamy histiocytes with a similar immunphenotype to the tumor cells in lymph nodes. 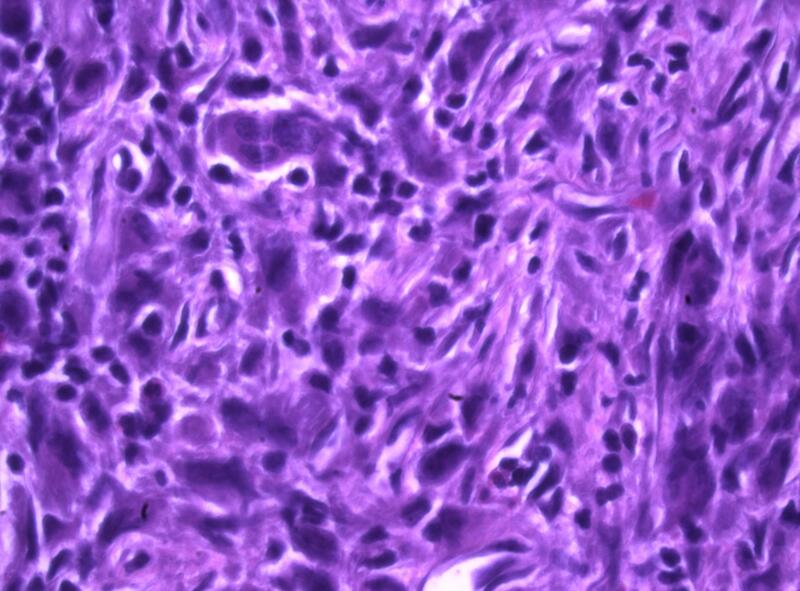 Erdheim-Chester disease of bone is a rare, non-Langerhans cell histiocytosis characterized by multiorgan involvement (Orphanet J Rare Dis 2013;8:137). Less than 500 cases have been described. The radiological findings are symmetrical sclerosis of the metaphyses and diaphyses of long tubular bones. There is bone marrow infiltration of lipid-laden macrophages, multinucleated giant cells, lymphocytes and histiocytes, and a generalized sclerosis of the long bones. The pathogenesis of ECD is poorly understood, and evidence regarding the clonal basis of ECD is still controversial. BRAF V600E mutations have been reported in 54% of cases (Blood 2012;120:2700). The clinical manifestations of ECD vary tremendously, as the symptoms depend on the tissues infiltrated. Half of ECD patients have bone lesions, predominantly involving the lower limbs, and 30% have extraskeletal manifestations, including exophthalmos, diabetes insipidus, retroperitoneal histiocytic infiltration and skin involvement (Medicine 1996;75:157). The differential diagnosis includes Langerhans cell histiocytosis, which has a dendritic cell origin, stains positively for CD68, CD1a and S100, and shows cytoplasmic Birbeck granules by electron microscopy. 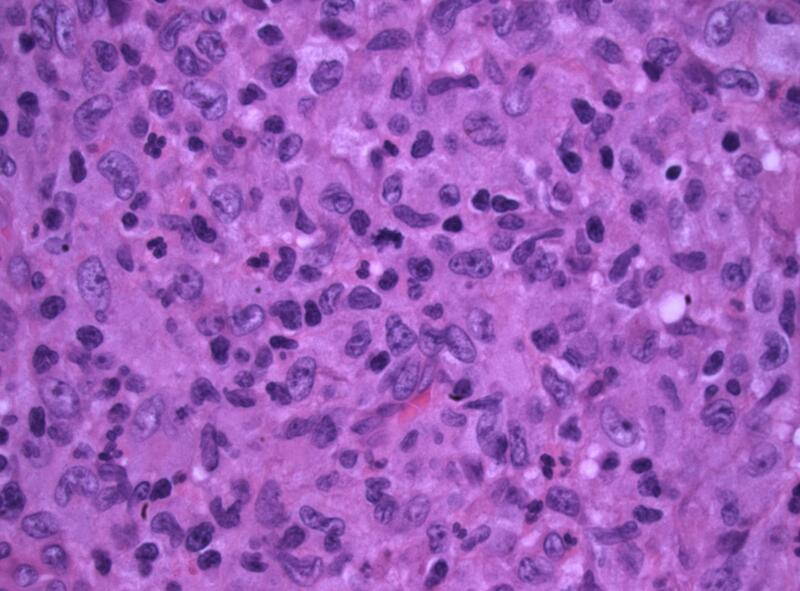 Non-Langerhans-cell histiocytes have a monocytic-macrophage origin and are positive for CD68, negative for S100 and CD1a, and lack Birbeck granules. The current treatment options for ECD include surgical debulking, high-dose corticosteroid therapy, cyclosporin, Interferon-α, chemotherapy and radiation therapy. ECD is an aggressive disease that is frequently resistant to treatment, and has a poor prognosis (Virchows Arch 2008;452:221).